Looking For Commercial Air Conditioning Maintenance Fort Worth TX / Tarrant County? Air conditioning units are an excellent way to maintain an ideal environment for your colleagues and customers. But, like any other mechanical system, they need regular maintenance to ensure their continued operation. If HVAC systems are not adequately maintained, failures can occur with serious knock-on effects for organizations. The good news is that you can avoid downtime and problems with your hardware by choosing a commercial air conditioning maintenance professionals in Fort Worth TX / Tarrant County such as Enertia Heating and Cooling. With us, you get a professional partner by your side who can manage all aspects of your air conditioning maintenance, ensuring that it is in excellent condition year-round and won’t let you down when you need it most. Finding a reliable HVAC partner can be a challenge, but with Enertia, we understand the strategic importance of a functioning air conditioning system, and we make this our highest priority. Just like you, we operate a business, and we understand the importance of environmental control for keeping workers productive and customers happy. Most businesses in Fort Worth TX / Tarrant County know that maintaining their air conditioning systems is essential. But it’s not just a question of calling up the nearest HVAC maintenance business and creating a maintenance schedule – not all companies are created equal. Here at Enertia Heating and Cooling, we’re both licensed and insured to carry out essential maintenance work on practically all air conditioning units on the market. It doesn’t matter if a big or small-time manufacturer supplied your units, we have the skills and the parts to ensure that they remain in excellent condition for many years to come. Our raison d’etre is to make sure that your operating costs remain as low as possible. That means helping to maintain your air condition units so that you can reduce your energy expenditure, reducing the overall cost of ownership. Over the years, we’ve helped many businesses in Fort Worth TX and Tarrant County maintain their air conditioning systems. We offer exceptionally competitive prices and are always willing to take a look at competitors’ quotes to see whether we think they can be beaten. Over the years, we’ve worked with dozens of different companies from a diverse selection of industries, all of whom have noticed profound improvements in environment control after working with us. Restaurants, grocery stores, educational establishments, and fast food shops all stand to benefit enormously from our commercial air conditioning maintenance services. At Enertia Heating and Cooling, we’re not wedded to any particular vendor, meaning that we can offer impartial advice and consultations on HVAC solutions. 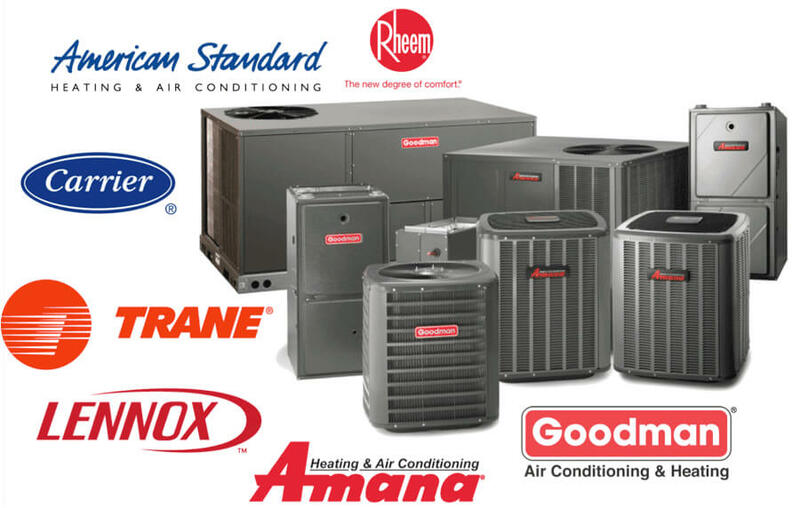 We stock parts and provide maintenance on units made by Trane, Lennox, Amana, Goodman, and Carrier, as well as many more. It doesn’t matter how obscure you think your HVAC system may be, our trained and highly experienced professionals have the knowledge you need to get the most out of it. Call us today to find out more about the types of HVAC equipment we maintain.